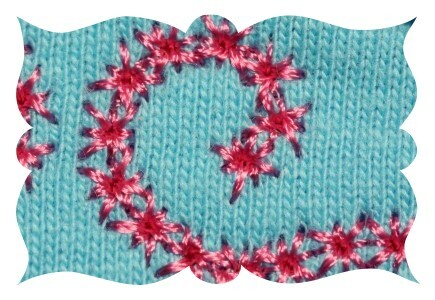 EXCLUSIVE *Baroque Necklace Monogram* Applique - 5x7 - $19.99 : Fancy Fonts Embroidery, Home of the ORIGINAL Trendy Dots Font! Take a boring, plain shirt from ordinary to extraordinary! The pretty and decorative star motif stitching, as opposed to regular satin stitching makes this super quick and easy to stitch up in no time flat! 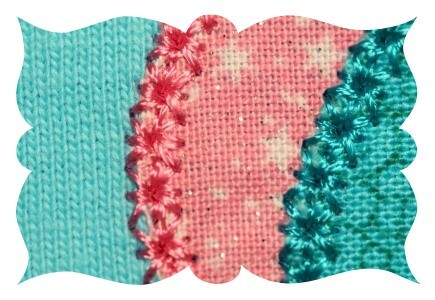 Here are a couple close up shots so you can see the pretty star pattern! 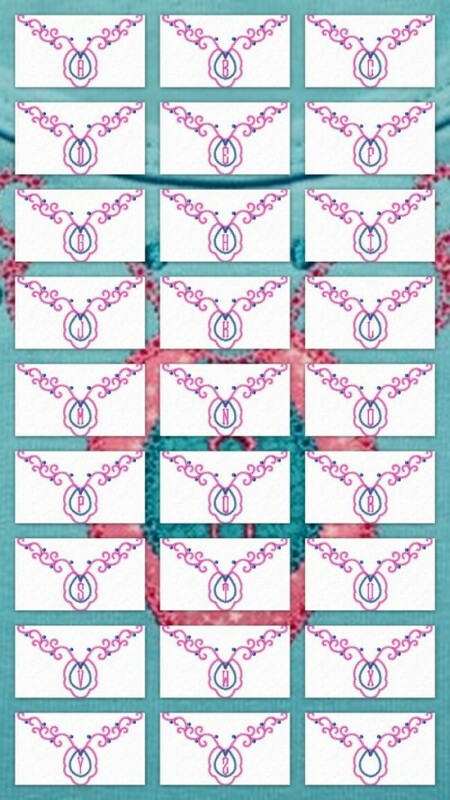 This EXCLUSIVE set comes complete with all 26 letters of the alphabet and the monogram is already placed inside the "jewel" on the necklace so no need to worry about merging if you don't have editing software. Like the design but don't want the monogram on the necklace? No problem! 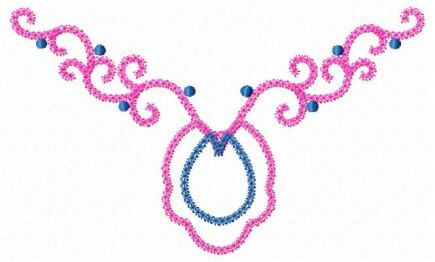 A bonus blank Baroque Necklace design is included! *Design set includes 27 files in total. Design Size: 4.6" x 6.98"
For best results when stitching an applique with a motif finishing stitch, it is best to use the same thread color as the final applique stitch for all of the steps involved in the applique process.